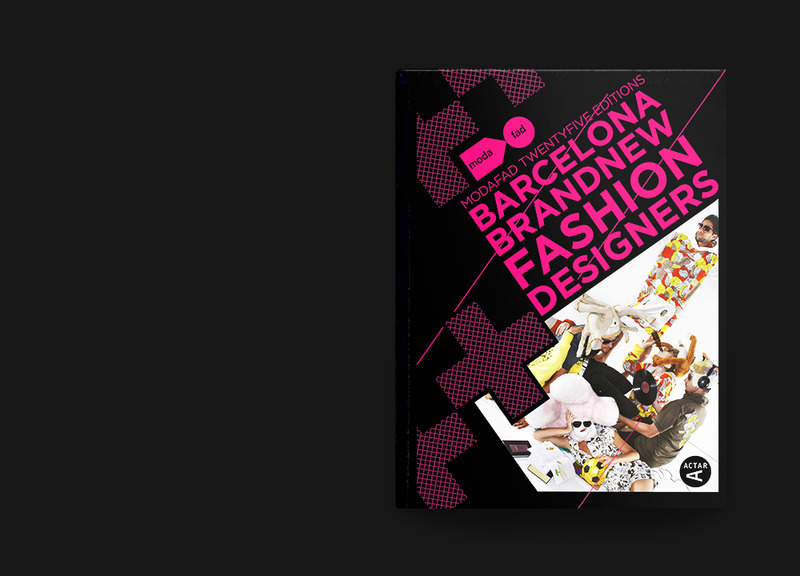 Creative director Chu Uroz approached us to art direct a book celebrating ModaFad*, an association for fashion designers, founded in 1993 with the objective of transforming Barcelona into a world reference for emerging young fashion talent. 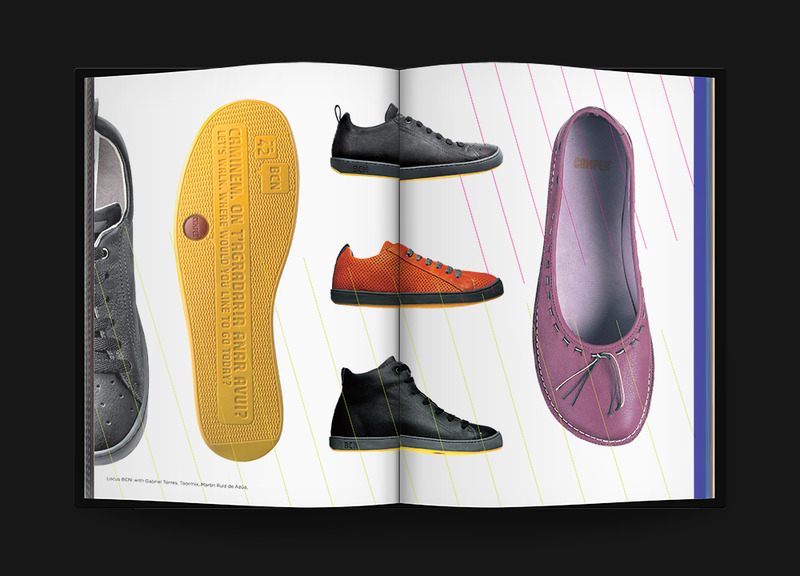 The book design reflects their fantastic, unstoppable flux of creativity, a tumultuous, shifting, wild energy released freely with youthful enthusiasm. In contrast, archives quality was terribly inconsistent, more activity record than professional images, photos came in all formats and resolutions. The layout is exclusively composed of horizontal guides in which the elements slide on an infinite paper reel, similar to a textile repeat pattern; no two pages are the same. 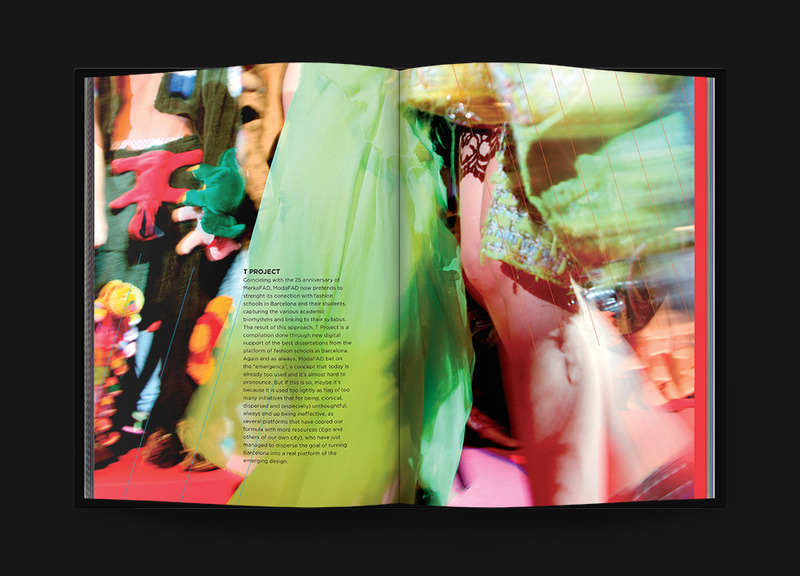 The strong chapter breaks gradient colours create a rainbow visible only at a particular angle on the book's edge. The flow is interrupted by other narrative layers, islands of content that disrupt the primary discourse. ModaFad encompassed a vast range of activities: markets, exhibits, conferences and awards. But the main event was the bi-annual fashion students showcase. A fashion show in wich after careful guidance the students showed their designs in a professional setting for the first time. ModaFad gave them creative and logistical support at the highest level. 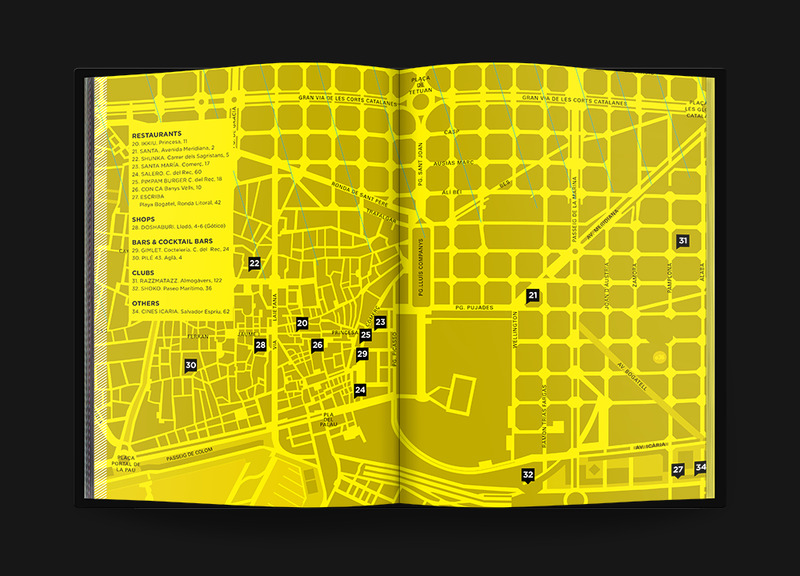 *ModaFad is part of FAD, Foment de les Arts i del Disseny. A private association for art, design and architecture, founded in 1903 to promote public awareness, set standards for professional practice and mentor younger generations. It’s a cultural reference in Barcelona.